BocaJava is having a Father's Day promotion where shipping on all orders is only .99¢. I've been dying to try their Maple Bacon Morning Coffee and the only thing that's stopped me is that the shipping is usually almost as much as the coffee itself. I've already placed my order because I can't pass up this sweet deal. 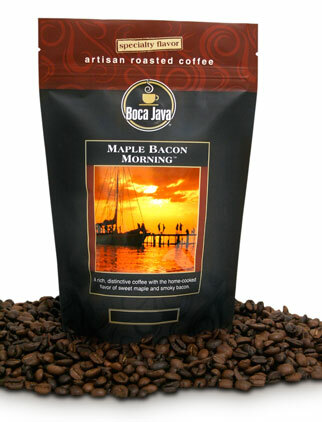 MrBaconpants recently did a great review of the Maple Bacon Morning Coffee and it was all thumbs up. The .99¢ shipping is only for a limited time, the offer expires 6/21/09 ( shipping is regularly $7.95). I'm not able to link directly to the Maple Bacon Coffee but you can easily find it in the Coffee section under Flavored Coffees. Make sure you add one of the fathers day gifts to your cart to get the $0.99 shipping deal. If you do not add one of the father's day gifts the coupon will not be activated. You can remove the item and still get the cheap shipping on the rest of your purchase. Holy crap! 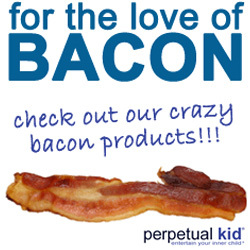 I love Maple flavored bacon, and I drink coffee with it. This is just a natural marriage that has been waiting to happen. Thanks for the heads up. Hi Ryan, thanks for the heads up though I was able to get the .99 cent shipping without adding any of the father's day gifts to my shopping cart. I can't wait for the mail to arrive! I may have to go for this,thanks for the tip!